Press Consulting, P.C. is the vision of Dr. Leonard J. Press for helping individuals through a variety of collaborative services. This is the culmination of a 41 year career in the profession of Optometry and Neuro-Rehabilitative Vision Care in which Dr. Press has rendered patient care, collaborated with professionals across many disciplines, presented seminars to interdisciplinary audiences, served at high levels in academia and organizations, authored articles, chapters and textbooks, and mentored a cadre of students, externs, residents, and experienced doctors. Services include evaluation of patients with unresolved visual problems; seminar presentations; authoring; mentoring; interdisciplinary collaboration; technology development. Dr. Leonard J. Press is a 1977 graduate of the Pennsylvania College of Optometry, where he was a member of the Gold Key International Optometric Honor Society. He completed his Residency program in Pediatric Optometry at The Eye Institute of the Pennsylvania College of Optometry in Philadelphia, and formerly served as Chief of the Pediatric Unit of The Eye Institute. In 1982, Dr. Press was recruited to the State University of New York, State College of Optometry, to serve as Chief of the Vision Therapy Service, where he was Associate Professor of Clinical Optometry for 15 years. Patients of all ages with problems related to vision development, visual processing, learning disabilities and dyslexia are referred to Dr. Press by a wide variety of professionals. He works extensively with occupational therapists, educators, and parent groups in helping parents understand the relationship between vision and learning, and opportunities for therapy to help children succeed. Dr. Press is a featured presenter for PESI, an organization that provides cutting edge continuing education to professionals across the country. The textbook that Dr. Press wrote on vision therapy is the primary reference used by therapists and doctors from around the world who are preparing for board certification in vision therapy through the College of Optometrists in Vision Development (COVD). Dr. Press served as President of COVD, and served on the examining board which conducts board certification. He is also a Diplomate in the Pediatric Optometry/Binocular Vision and Perception of the American Academy of Optometry, and one of only two doctors in New Jersey who have specialty certification through both of these prestigious organizations. Getman Award from COVD in 2011 for excellence in developmental vision. 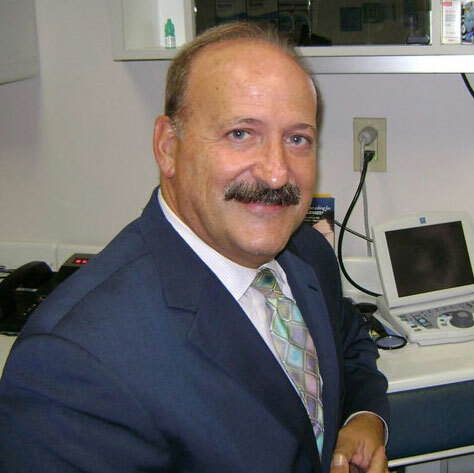 Dr. Press was honored by his peers as Optometrist of the Year by the New Jersey Society of Optometric Physicians in 1999, and has served as President of the organization. He was honored as the Alumnus of the Year of the Pennsylvania College of Optometry in 2003, which cited him for his outstanding contributions in the field of children’s vision and vision-related learning problems. He has been honored twice by the Neuro-Optometric Rehabilitation Association, in 2015 with the Advancement of Sciences Award and in 2018 with the William & Diana Ludlam Educators Award.